Firefighters from the Leaf River Fire Protection District pour water into The Cave Bar & Grill in Byron after a grease fire broke out Thursday morning, April 19. Over fifteen departments responded to the 3-alarm fire. 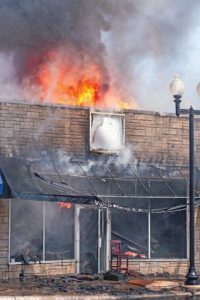 Fire destroyed a Byron icon on the morning of Thursday, April 19, when the Cave Bar and Grill, located in the 100 block of W. Second Street, burned in downtown Byron. Flames break through the roof of The Cave Bar & Grill in Byron after a grease fire broke out Thursday morning, April 19. 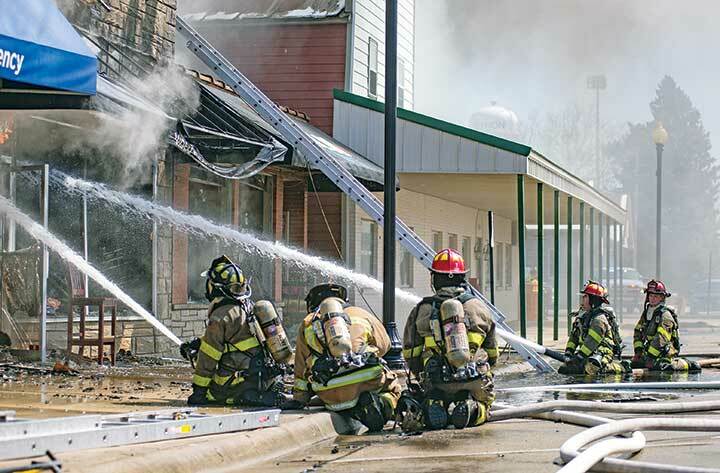 The fire broke out around 10:30 a.m. as a grease fire prompted over fifteen area fire departments to the scene, including crews from Byron, Stillman Valley, Forreston, Mt. 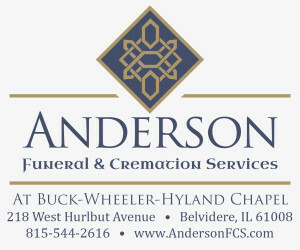 Morris, Leaf River, Polo, Lynn-Scott-Rock, Cherry Valley, New Milford, Belvidere, Rockford, and others. Employees tried unsuccessfully to extinguish the flames before exiting the building. Byron interim chief Rick Kolomay said the fire started in the grease shoot and spread to the attic. A Commercial Structure Building alarm prompted mutual aid from several area departments before a third alarm was called. Businesses on either side of the Cave building suffered smoke damage, but no structural damage.